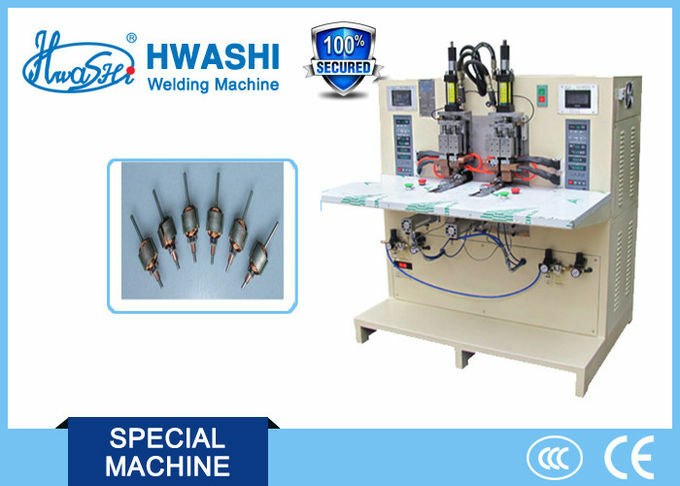 This is our latest machine which is designed to complete the welding and cutting automatically.Once adjusting the related parameters, it can change the shape of welding and length of cutting. The welding length is 30-300mm (adjustable). Through the feeding system-wire output wheel, the braid wire enters into the welding center to complete the process of feeding wire. 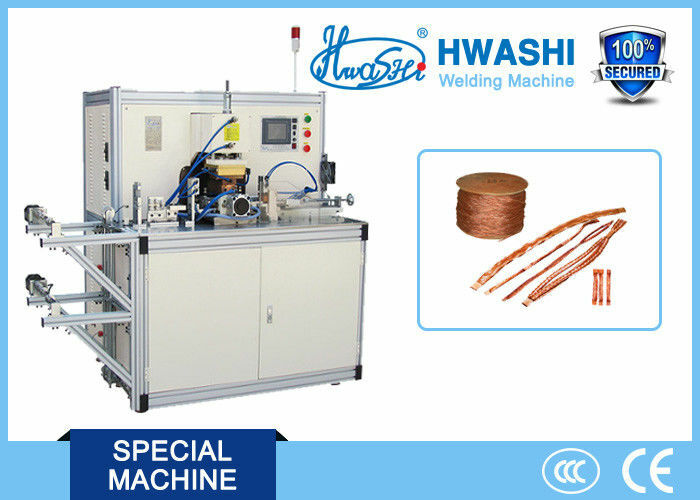 Then the wire output system stop working, the welding forming device start working to press the wire on the preset position. The cylinder will press down to complete the welding. Next, the stay wire cylinder start to output the wire to preset length. When reaching the preset value, the cutting device starts cutting the wire. At last, the stay wire cylinder starts to pull out the completed wire and put it into the discharging box. 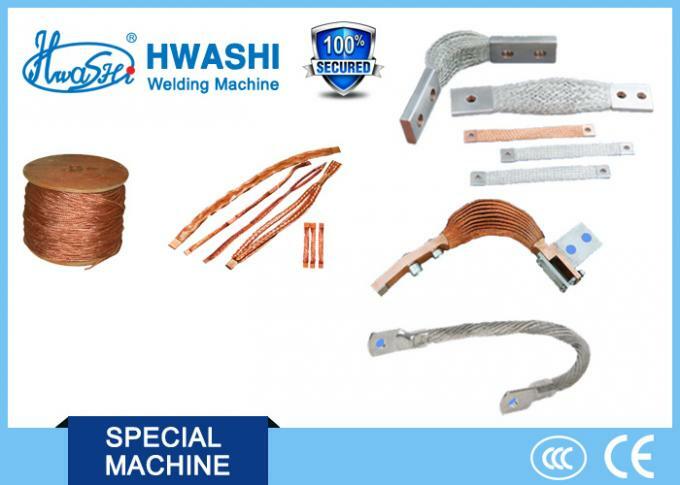 Welding of braid wire of electrical parts like distribution switch, disconnector, etc. 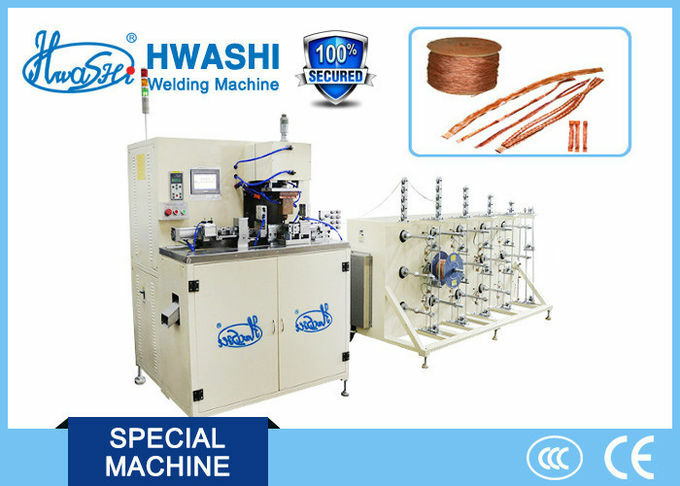 Be able to weld and cut 1 to 4 mm2 of singlet wire, double wire, and three-wire in one of annealed copper wire. 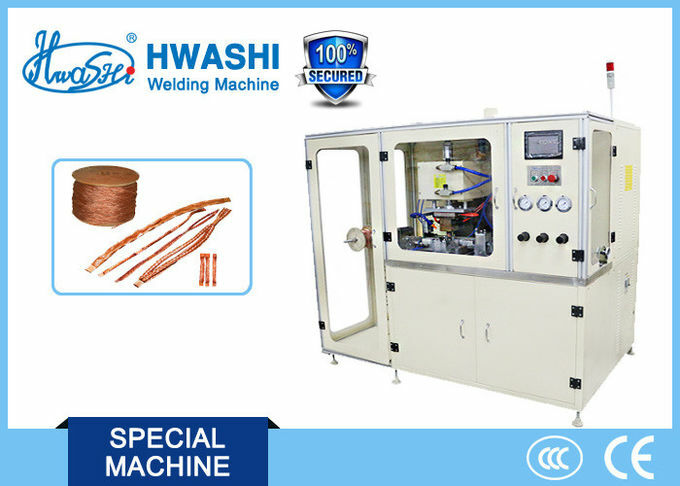 The cutting length could be adjusted freely and the cross-section of connecting wire could be designed as different shapes like semi-circle, square, and hexagon, etc. 1 Silicon Control SCR Nanche High Precision, Long Service Life. 3 PLC Procedure Control Panasonic Japan Stable Control, Calculating Machine, Procedure Modification. 5 Stay Wire Cylinder Zhicheng China Quick Response, Long Service Life. 6 Main Welding Cylinder Zhicheng China Quick Response, Long Service Life. 8 The Blade Fuji Japan High Rigidity, Good Tenacity, Long Service Life. 10 Linear Guideway Fuji Japan Good Motion Performance, High Precision. 11 Linear Bearing Decheng Japan Good Motion Performance, High Precision.